« Will Only the Rich and the Poor Have Children in the Future? This entry was posted on November 28, 2011 at 12:03 am and is filed under Africa, African Culture, Animals, Arab World, Asia, Australia, Britain, Canada, Chile, Egypt, Europe, Expat, France, French Culture, Germany, India, Intercultural, International, Iran, Italy, Japan, Lebanon, Libya, Mexico, Middle East, Middle Eastern Culture, Multicultural, New Zealand, North Africa, North African Culture, Norway, Pakistan, Plants, Portugal, Russia, South Africa, Spain, Sweden, Tunisia, Turkey, Uncategorized. You can follow any responses to this entry through the RSS 2.0 feed. You can leave a response, or trackback from your own site. from Valerie Rude: I may have a cork oak tree growing outside my door here at my assignment location in TX next to the Mexican border. They are plentiful. I’m not going to try to eat one until I know for sure what these nuts are. New York Times article regarding a great drop in supply of red acorns in the U.S. this year, the expected subsequent crash in the mouse/rodent population, and expected susequent explosion of Lyme Disease in 2010. The article says that this acorn decline may be a regular and long-term survival technique of the Oak tree. 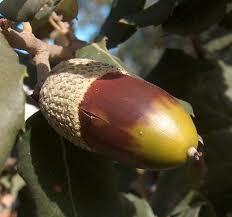 I enjoyed your post about the Cork Oak Acorn. As a native american I am very aware many Indian groups utilized Acorns as a key food source. Mostly as flour and roasted nuts. Red Acorns are also edible, but must be boiled and rinsed out a number of times to remove the tannin. While it might sound like more trouble, the Red Oaks have a much larger range, and some species are more prolific acorn producers. However many white oaks were particularly favoured. Especially Emory and Live Oak trees. Among others. The practice of releasing the hogs to feed also was practised with some old Heritage Hog breeds here as well. Thanks for the info. –Thank you so much, Darren! I’m really glad you found this post of interest. Thank you for the additional interesting information. “Tree crops”, published in 1929 by J.Russell Smith describes in detail the various edible acorns and oak tree crops used historically around the Mediterranean and in America. I have a row of 11 young cork oaks germinated from acorns growing with a view to wind break, cattle fodder, and potentially human fodder uses, as well as being fire resistant. 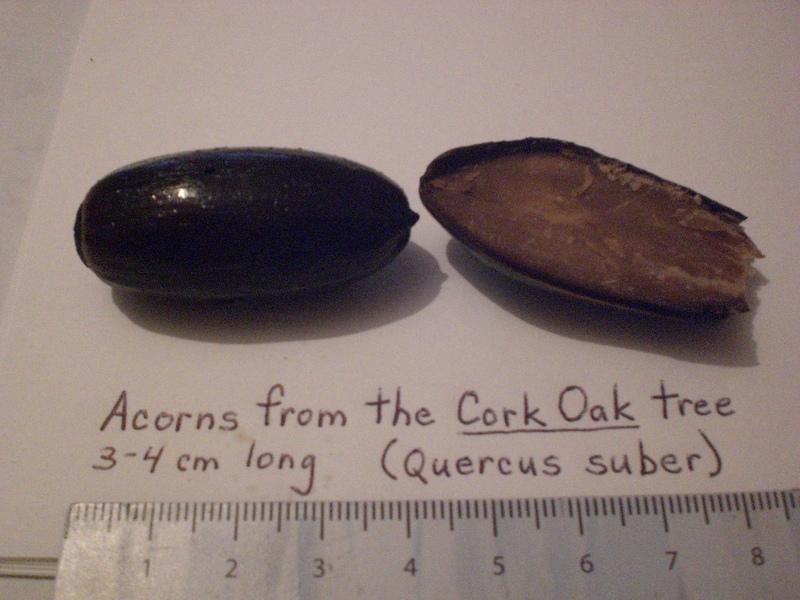 I have also got a quercus macrocarpa – bur oak – growing from an acorn, which has large edible acorns. It might be a few years before get a crop though! Oak fruit is picked from the tree by women and men. Fruit with a knife called “Vrnjvk” skin exposure. Action the fruit of the oak bark “Kykh” they say. The oak bark was made into a pit called “Lhh” where they throw fire. After being Lhh oak, chestnut and also some fire coming down from the high heat, cook it thoroughly. After some time off to Lhh Vblvt get them out and spread them in the sun to dry completely. The oaks at mill hand named “Brdr” which is a Central Vabtdayy very simple, make flour. This is “Tlv” they say. After the substance obtained by boiling water chestnut flour to the dough. Knead flour in a bin or bag may be made of oak. The dough will hold a three-day warm-up match practice quite a fever and localism. After three days Kzsht, acorn squash into bags or sacks are dumped it in the water. In the absence of running water chestnut paste with cold water wash. Acorn squash in the tub with cold water, the bitter taste is gone sour Vkhmyr. Chestnut flour is washed out, the water is still in the hand-mill to Asia. The flour on the cloth called “Rygv” are to be taken to the water. Acorn bread acorn squash is ready now to prepare. After being baked bread, chestnut brown and slightly charred tends to be dark. Bread oak Bakhtiari language “Oak Clegg” they say. Thank you for this very interesting information from Iran, David! Thank you for taking the time to translate this information from Persian, as well. Please wright and email me acorn oak fruit medicinal use . As I lay here in my garden in southern Spain and hear the sound if nits falling around me, I am thrilled to discover your very informative article which answers my question: are these acorns edible? My tree is quite fruitful, and I’m glad to know something can be done with them! I was excited to find out about them in North Africa, so I’m just as delighted that this post has thrilled you! Thanks for reading! Ah, so they were acorns of Q. suber! Ever since I came to Morocco I wondered from which species they were from…. it is nice to find the answer finally. Thanks. People from my country, Korea, also use acorns for food; we extract starch from them and use it to make a kind of jelly called Dotorimuk. Although acorns from all species can be used to make them, those from Q. acutissima(called Sangsuri in Korean) are most prefered, while acorns from evergreen species that belong to subgenus Cyclobalanopsis are rarely used. Makes me feel great that you found my post and found it so useful! thanks for reading and commenting. Very interesting, thanks for sharing how they are used in Korea! Wow, Brian, that article is EXTREMELY interesting. Thank you so much for sharing it! 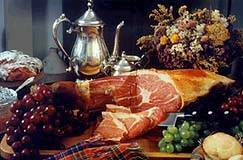 Thank you, I never knew the acorns from cork oaks were edible, especially just roasted – I must try it. 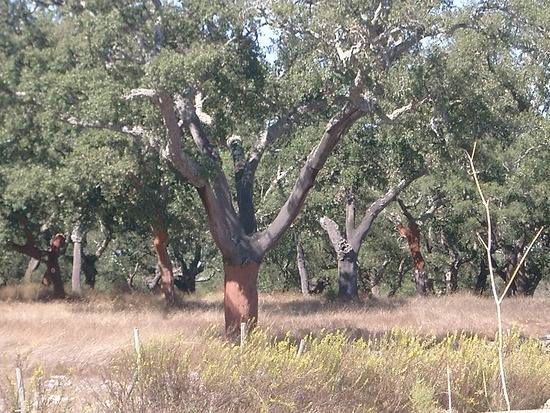 In California, and much of the US the white, black, blue and live oaks have edible acorns – but not until they are ground and the tannins leached out. Acorn flour/mush was a big part of the diet of native people here for thousands of years. My children like to do this and we make bread and other things with acorn flour. Wildlife: deer, squirrels, birds and others still depend on the acorns and don’t seem to be bothered by the tannins. Thank you, it was very interesting to hear how the Native Americans were using them in California. They were an important food in the Eastern U.S. Euell Gibbons, the American wild foods guru, speculated that more tons of acorns have been eaten in North America than tons of wheat, based on their centuries of use by native people. I don’t know about that, but white oak acorns (Quercus alba) are delicious when prepared properly. They can be chopped up and boiled first, then kept in the pot for a few days, with a couple changes of fresh water every day. The tannins will leach away. You can dry the meats in the oven, grind them, mix with sugar and butter and you have a cookie with a very unique taste, something like a Heath Bar (a candy bar with caramel flavor.) Bread is fine, but I think a cookie-like amount of sugar brings out the distinct flavor. Have anybody heard about a preparation using acorns as a cured for diabetes? Just thinking about this, I don’t see why it would have any positive influence on curing diabetes. It may not be harmful, but I see no reason why it would be helpful, either. I live in Maroco. And we eat acorns, I buy them from the street. But I am not sure, if they are cooked or rosted. Fascinating! Glad your friend is OK!